Iphone has been the best phone ever.I prefer iPhone always. 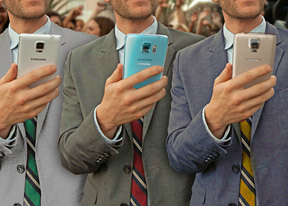 Every mobile is good in performance but samsung is a poplar band and I love samsung smartphones in every session. Makes me laugh 3 different Samsung phones all 16mp cams and 3 different picture qualities. Also IPhone 6 is nearly as good. not bad for a 8mp, so it just shows the lens makes the quality. most pro among all the other. Note 4! Hands up the best. rikas, 26 Mar 2015Why not to include ip6 plus? It has better camera!Ya u r right rikas..
black kinzy, 11 May 2015IPhone 6 is the best but I'm need oneSamsung is the best and I got one. Terribly umfair comparison putting the iphone up against the Note 4 obviously the Note 4 is currently the best phone in the world. What chance does the iphone have against such awesome specs of the Note 4? Sure you can use brainwashing very clever advertising but at the end of the day the sad iphone has not a chance against the Samsung Galaxy Note 4.
iPhone 6! Best camera and best camera UI, period!